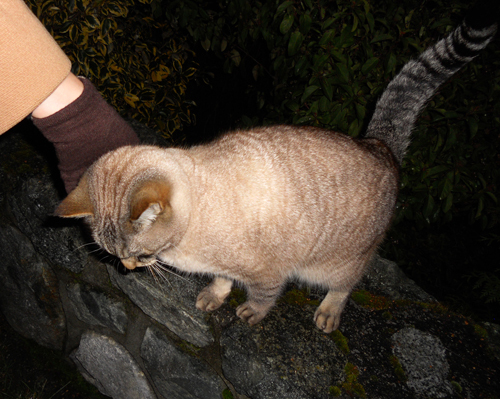 Met a sweet little cat with a luxurious coat the other night while we were out walking. 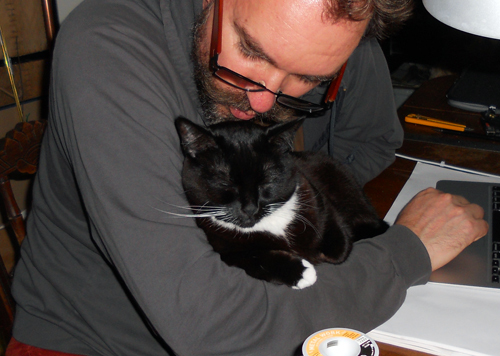 Also a pic of TC snuggling with GJ. Sadly, he wouldn't look at the camera; he had the loveliest face!